The DHHF was established in 2005 by a group of military aircraft enthusiasts with as its goal the operation and conservation of a Hawker Hunter ex-military jet, both as a tribute to a great classic fighter aircraft and as a memento to the history of the Dutch air force squadrons who flew the Hunter in great numbers during the fifties and sixties of last century. 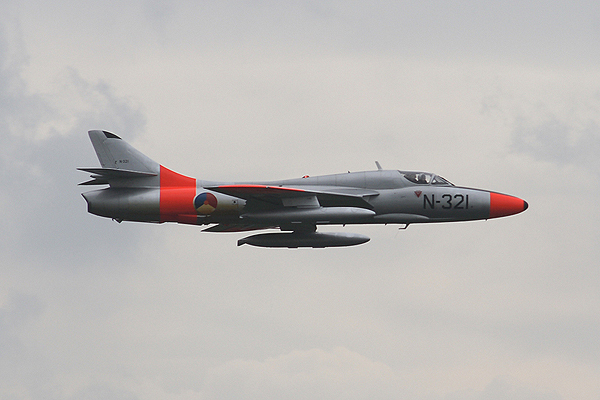 Thanks to the cooperation of Dutch and British aviation authorities and the support of the Royal Netherlands Air Force (Klu), in January 2007 DHHF was able to acquire its Hawker Hunter T.8C in the United Kingdom from a private owner. After thorough preparation of both the aircraft, her new pilots and her ground crew, on the 15th of May 2007, the Hunter, in authentic Dutch livery, was flown to its new Dutch home at Leeuwarden Air Force Base. The classic shape of the Hunter was back in Dutch airspace after 40 years since it was phased out in 1968. DHHF operates its Hunter for 30-35 hours a year from Leeuwarden AFB. Prime object is to participate in air shows and other events on behalf of the Royal Dutch Air Force (Klu), and also to attend other air events in the Netherlands and adjacent countries. Additionally, the flight schedule provides for the necessary training and test flights. Apart from flying the Hunter, DHHF makes its Hunter available on location for visits and viewings for Klu and Klu-related organizations. The Hunter is British registered as G-BWGL, and all operations are conducted in full compliance with Civil Aviation Authority's regulations regarding the operation of ex-military jets. Also, the relevant regulations of Dutch Civil Aviation Authority (IVW) are taken into account, and as the aircraft is hosted by Klu, DHHF operates its Hunter within specific set of rules agreed with Leeuwarden AFB. In September 2008 the DHHF acquired a second aircraft. 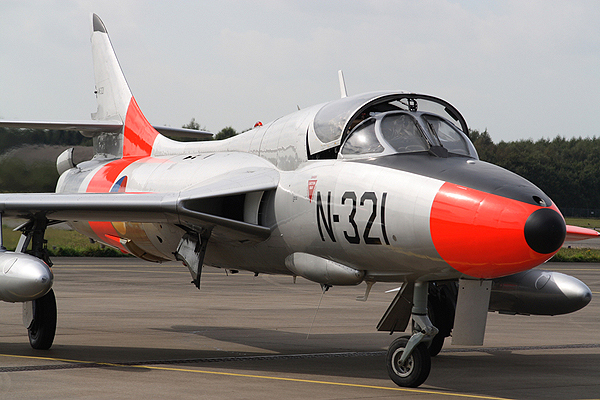 Thanks to the cooperation of the relevant authorities, single-seater Hawker Hunter F.6A G-KAXF will join its T.8C G-BWGL two-seater from the end of October, 2008 at its home base Leeuwarden AB. Sporting authentic Dutch colours and markings, G-KAXF will as N-294 represent the six RNethAF Hunter squadrons, which were employed in the air defence role from the mid-fifties to the mid sixties of last century. N-294 will appear on the Dutch air show scene from next year onwards as the display aircraft. The Dual will be used for training, display spare and familiarisation flights. DHHF is run by volunteers in all its echelons, all of them highly motivated to make this operation a lasting success. Its Board Members are all professional people with a background in industry, finance and aviation. Flight and ground crew are both active and former air force personnel spending a good deal of their time to keep the Dutch Hawker Hunter legend alive. 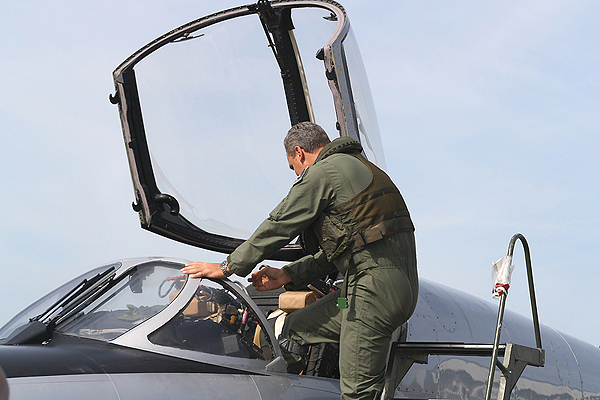 When flying the Hunter, the crew is seated on working ejection seats and fully dressed in operational flight gear. 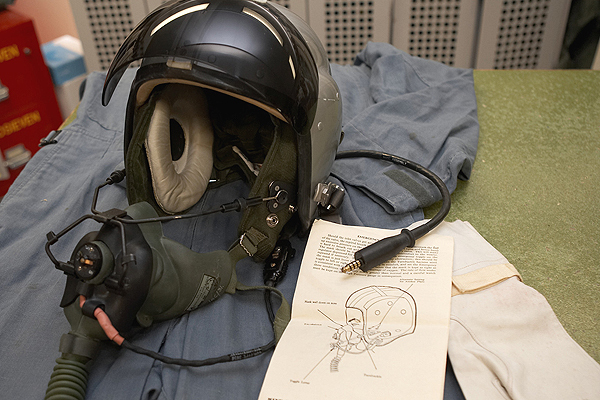 The helmets used are, for the pilots, original Mk.1A flight helmets with G type cloth helmets underneath. When flying the Hunter as a guest, Mk.4 helmets are used. The first with A-13a masks, the latter with P and Q type masks. The Life preservers are Beaufort Mk.15 ones, formerly used by the SAR Flight on Leeuwarden Air Base. Several kinds of flight suits are available. Most training flights are made with the pilots green nomex suits, but sometimes original RAF suits from the 50's/60's are used. Together with white gloves and leg straps to fit to the Martin Baker, the pilot is ready to go. In the single seat version, the pilot sits on a Martin-Baker 2H or 3H ejector seat. 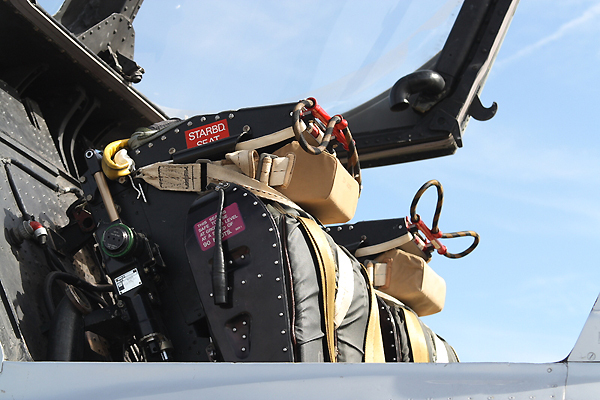 The two seat trainer version, as the DHHF one, uses the Mk.4H ejection seats. Note: Special thanks to Spout, Martin and the DHHF crew.